Jasmine and Billy are the best of friends as well as brother and sister! Even when they rip up the curtains and fight, I still love them both! They are such amazing little pups! 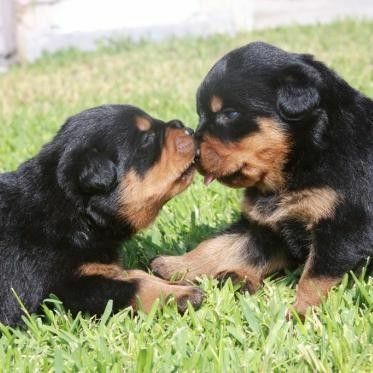 Your puppies are so cute! I want one! This photo is toooooooo cute!!! aww bless.. they are gonna be huge when they grow up! They are so cute!! r they twins or something?? is it eating its nose ? I love them ! i always wanted a dog......!!!!! !